A Forbes’ contributor – Lucy Sheriff – recently interviewed a pair of businessmen, Alex Franklin and Michael Williams. Both young men are passionate about finding the solutions by producing ethical products, namely fair-trade garments. He launched AM Custom Clothing in 2012 as a solution for the problem. Alex Franklin had suffered from a life threatening illness. This changed his life and ambition toward the future. He just wrote a dissertation on how to create a green environment. Then, he set up a fashion brand, which was expected to be good for both his life and the planet. This idea was based upon the awareness that textile industry has been providing huge negative effects upon the environment. The young man realized that one thing had been left unattended. Scrutiny over the textile industry mostly focused upon the fashion brands and retailers. Few, if any, institution paid attention to the garment products for merchandise, uniforms, work wear, promotional wear, and many others. Actually, these products may reach up to millions of units every year. So, Alex Franklin began from this point. Of course, running a business is a new concept is a great challenge. According to Alex Franklin, the main barrier was experience. He had no idea on how the garment industry was going. Franklin did not even know what to do with the business. He was lucky to meet Michael Williams. They developed ideas and strategies to run the business. The processes were based upon what they should have done, instead of what the rest of the industry was doing. The next challenge was rapid growth of the business. They was surprised with the high demand. It was sometimes far greater than they had anticipated before. As a result, they face the stress of meeting the demand while they still had limited supplies and resources. Restock times tended to be slower with ethical products than they were with non-ethical products. Of course, the customers were not accustomed to the system yet. Both friends had no choice other but to adapt the business model into a scalable one. Scalability is possible only with automation. Now, the business model allows them to meet increasing demands on time. They can deal with large order sizes while keeping delivering them even quicker than the industry average. 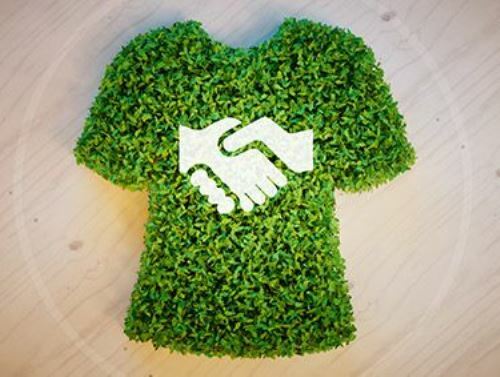 After reading the ideas and the challenges in the efforts of creating green fashion industry above, some questions may remain in your mind, right? What actually differentiate the business model developed by Alex Franklin and Michael Williams from the rest of the industry? Check out the answer in the next post.